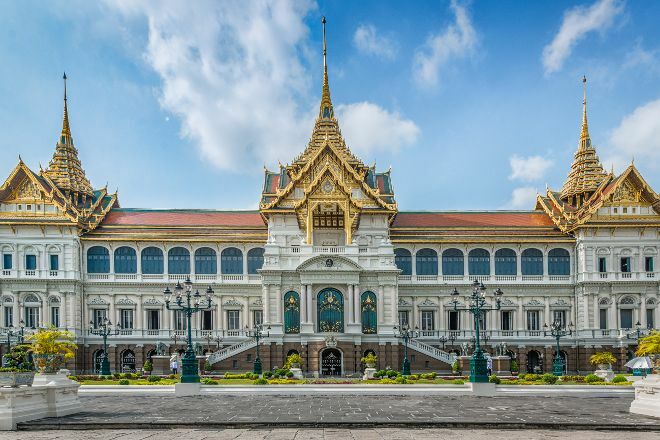 Explore the famous complex of ornate buildings at The Grand Palace, a gem in the country's architectural and political heritage. Established in 1782, the palace grounds have been added to over the centuries with eclectically designed buildings, halls, and pavilions. The official home of Thai monarchs until the abolishment of the absolute monarchy in 1932, the site remains open to visitors, with its well-maintained grounds and monumental architecture providing great photo ops and an immersive cultural experience. 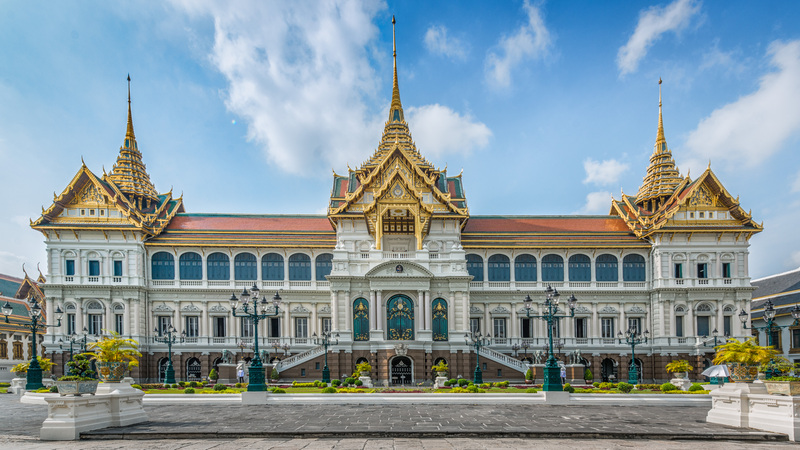 To visit The Grand Palace and get the most from your holiday in Bangkok, create itinerary details personal to you using our Bangkok road trip app . The most important tourist attraction in Bangkok, the grand palace is majestic. It has multiple different buildings each with unique architecture, carvings and paintings. Sadly tourists can't enter most of the buildings. It is advisable to go early as later it starts getting more crowded. The palace opens at 8.00 am so it's better to go early. The entry fee is 500 bht, which includes ticket to a theater play. It's like a Thai culture musical. Pick-up and drop to theater from grand palace is also included. The Emerald Buddha temple is inside the grand Palace. I would skip this place and go to the Reclining Buddha instead. This place is crowded (similar to most European free attractions) and even if it was not, I would not pay 500 baht to enter, more like 250. The Grand Palace area was under construction so you can only see it from one side which is the side the sun is shining from unfortunately. No photos can be taken in the Emerald Buddha Temple which is where most tourist only see. No one hangs around for the Grand Palace so if you want to see that, make sure to not blindly follow the group of tourist heading for the exits.